We’d love your help. Let us know what’s wrong with this preview of What's a Dog For? by John Homans. John Homans adopted his dog, Stella, from a shelter for all the usual reasons: fond memories of dogs from his past, a companion for his son, an excuse for long walks around the neighborhood. Soon enough, she is happily ensconced in the daily workings of his family. And not only that: Stella is treated like a family member—in ways that dogs of his youth were not. Spending h John Homans adopted his dog, Stella, from a shelter for all the usual reasons: fond memories of dogs from his past, a companion for his son, an excuse for long walks around the neighborhood. Soon enough, she is happily ensconced in the daily workings of his family. And not only that: Stella is treated like a family member—in ways that dogs of his youth were not. Spending humanlike sums on vet bills, questioning her diet and exercise regimens, contemplating her happiness—how had this all come to pass, when the dogs from Homans’s childhood seemed quite content living mostly out in the yard? In What’s a Dog For?, Homans explores the dog’s complex and prominent place in our world and how it came to be. Evolving from wild animals to working animals to nearly human members of our social fabric, dogs are now the subject of serious scientific studies concerning pet ownership, evolutionary theory, and even cognitive science. From new insights into what makes dogs so appealing to humans to the health benefits associated with owning a dog, Homans investigates why the human-canine relationship has evolved so rapidly—how dogs moved into our families, our homes, and sometimes even our beds in the span of a generation, becoming a $53 billion industry in the United States in the process. To ask other readers questions about What's a Dog For?, please sign up. Be the first to ask a question about What's a Dog For? Homans gathers together in highly readable form much of the most recent research on dogs, their ancestors, and their relationship with us. Teasing out the history of dogs, just barely genetically different from wolves, has been a tricky business, not least because early dogs and proto-dog wolves would not have been physically different from their wolf relatives in any way that shows up in the fos There's a lot of interesting material here, and yet in the end I am deeply frustrated with this book. So what's my complaint? Homans clearly feels he's way too smart and sophisticated to be one of us crazy dog lovers, even though yes, he has a dog whom he loves dearly. Dogs, we are told, are kitsch. Not just the subject of a lot of kitschy art, but kitsch themselves, because their emotions are simple and basic, compared to ours. Dogs' status in our lives is as "honorary humans." That's the only explanation for why we don't treat them like chickens. The possibility that we could connect with dogs as individuals and incorporate them into our lives because, especially for early humanity, they were useful partners and continue to have useful, practical roles to play in the modern world, as well as having been heavily selected over those thousands of years (at least ten thousand, possibly much longer) to fit in with and respond to humans--that we might mesh well socially with them while still recognizing them as dogs and not humans, seems to be unimaginable for Mr. Homans. In addition, Mr. Homans seems to have swallowed whole a lot of PETA propaganda and not really looked at objective information. A few of the Vick dogs are permanently in sanctuary--but the overwhelming majority of them have been successfully placed in pet homes where they are happy and loved. Several are therapy dogs. One of them now has a career in law enforcement. There's nothing overly sentimental or silly about insisting that all dogs be individually evaluated, rather than declared excess solely on the basis of breed and possible bad prior experiences. There are also successful, effective, open admission No Kill shelters in every part of the country, for a total of well over fifty and still counting. Some dogs coming into shelter will always need to be euthanized for health or behavior reasons, but communities that commit themselves to it can save all the dogs who are at all suitable as pets. Dogs don't have to be killed merely because "there are too many dogs." And the transport rescues he agonizes over, and from on of whom his own dog, the Lab mix Stella, comes, are a part of the challenging puzzle of getting dogs from where they are to where the right homes for them are. Finally, Nathan Winograd, whom Mr. Homans clearly regards as a starry-eyed yet inflammatory fool, has actually turned a high-kill shelter into a no-kill shelter. He's really done the job, rather than just pontificating about how it's impossible. Do I regret reading this book? No. It has some great information and is well-written. It is not, however, one of the great dog books of our time. The author, executive editor of New York magazine adopts Stella, a lab mix from a shelter and starts to wonder....An overview of the history, science and anecdotal research about dogs and their relationship to humans. I have read many of the theories covered in this book, but it is interesting to see them pitted against each other and to see how differing the scientific theories can be. The chapters contrasting the views of east/west coast (pampered family members) vs flyover states' (possession The author, executive editor of New York magazine adopts Stella, a lab mix from a shelter and starts to wonder....An overview of the history, science and anecdotal research about dogs and their relationship to humans. I have read many of the theories covered in this book, but it is interesting to see them pitted against each other and to see how differing the scientific theories can be. The chapters contrasting the views of east/west coast (pampered family members) vs flyover states' (possessions, at best) on pet ownership are a bit disheartening and help explain why so many rescue dogs are from the central and southern states. The chapter about the Westminster Dog Show and the evolution of purebreds was quite disturbing, and I loved the recounting of how Jemima Harrison's 2008 documentary Pedigree Dogs Exposed has forced (kicking and screaming) the Kennel Club and the AKC to deal with the horrific suffering that inbreeding for purebreds causes. Homans loves Stella, she is a part of the family, he just wants to know how that came to be. Why is dog ownership so different now compared to other times in history or other parts of the country/the world? Having grown up with dogs, I frequently find myself longing for another one - a big, wolf-like real dog. It is an ongoing argument I have been having with myself for years. Since I also plan to live in the city, Chapter 9 - The Wolves that Came in from the Cold, has finally settled that argument for me. Interesting but quality of writing not great. Homans does an excellent job of exploring man's best friend by diving into the research of leading scientists, behaviorists and experts int he field of all things canine. While a wealth of information is contained in these pages the author has also done a fair job of getting opposing views from a variety of expert sources. I daresay that this book is a must for anyone that is interested in dog behavior. This is purported to be about the author's "rescue" dog, Stella, but there's very little about how she was rescued, how her early experiences scarred her, if they did. She;s a retriever mix, and we're told she loves to run and fetch. Duh That's what retrievers do She's a good-natured dog who wags her whole body when she's excited. So? most dogs do. Rather than tell us about Stella, Homans devotes each chapter to some facet of the intensive studies of dogs going on now, and also how philosophers l This is purported to be about the author's "rescue" dog, Stella, but there's very little about how she was rescued, how her early experiences scarred her, if they did. She;s a retriever mix, and we're told she loves to run and fetch. Duh That's what retrievers do She's a good-natured dog who wags her whole body when she's excited. So? most dogs do. Rather than tell us about Stella, Homans devotes each chapter to some facet of the intensive studies of dogs going on now, and also how philosophers like Descartes claimed that dogs can't feel pain so that vivisection was okay. In the chapter on discipline, he explains Behaviorism and especially Skinner, as if it is a valid approach to behavior. However.there is plenty of evidence that it does not work, except in limited instances. Dogs, like people, have minds of their own, and don't necessarily respond to stimulus the way the trainer expects. In my blog "dogsandwolves-smartoldlady" I recount a stunning reaction from Skeezix, my Canine Einstein and how he foiled his trainer, much to the trainer's chagrin. This is simply a wonderful book! Homans explores the history of the canine-human relationship, using his own lab-mix, Stella, as the four-footed guide to various investigations into more specific areas. Homans succeeds in not only informing his audience, but also in inspiring thought-provoking questions about a reader’s own personal ties with dogs. While some of the research Homans presents will be familiar to dog-lovers, he also includes a lot of modern studies done across the world which is bo This is simply a wonderful book! Homans explores the history of the canine-human relationship, using his own lab-mix, Stella, as the four-footed guide to various investigations into more specific areas. Homans succeeds in not only informing his audience, but also in inspiring thought-provoking questions about a reader’s own personal ties with dogs. While some of the research Homans presents will be familiar to dog-lovers, he also includes a lot of modern studies done across the world which is both interesting and exciting. It’s a fascinating book and Homans really does a wonderful job of answering the various aspects of his sub-title - and putting it all into a historical perspective as well, he tracks how those answers have changed. This is well-written and thoughtful. There is much info about the history of dogs, the brain of dogs, the working dog, the Victorian era in which dogs were moulded into breeds, the purebred genetics problem, the dog overpopulation problem, shelters, puppy mills, the south-north flow of dog adoption, the no-kill movement, the end-of-life problem, and the gradual ascent of the dogs to their current fellowship status in human families. All of this is interesting, none of this is heavy of deep. Alwa This is well-written and thoughtful. There is much info about the history of dogs, the brain of dogs, the working dog, the Victorian era in which dogs were moulded into breeds, the purebred genetics problem, the dog overpopulation problem, shelters, puppy mills, the south-north flow of dog adoption, the no-kill movement, the end-of-life problem, and the gradual ascent of the dogs to their current fellowship status in human families. All of this is interesting, none of this is heavy of deep. Always in the background is Homans' own dog Stella, but her role in the book is actually rather minor. Homans thinks the difference between how people used to think about dogs and how he thinks about his dog is very interesting. I suppose it is, but I enjoyed reading about that a lot more when it was Jon Katz writing it. I'm glad I read this book, because Homans's description of research into how dogs think covers a lot of the interesting work that has been done in this century. When I read "John Homans has been the executive editor of New York magazine since 1994, and previously worked at Esquire Homans thinks the difference between how people used to think about dogs and how he thinks about his dog is very interesting. I suppose it is, but I enjoyed reading about that a lot more when it was Jon Katz writing it. I just loved this book! I’ve read quite a number of dog books: books about individual dogs, novels about them, and canine informational texts. This is probably my favorite from the lot. I was given the print hardcover version as a gift and really wanted to read it but hadn’t gotten far when the audiobook became available. We live with three large dogs and a military working dog foster puppy, all of whom need daily training, care, and handling. I honestly have no time for anything that requires m I just loved this book! I’ve read quite a number of dog books: books about individual dogs, novels about them, and canine informational texts. This is probably my favorite from the lot. I was given the print hardcover version as a gift and really wanted to read it but hadn’t gotten far when the audiobook became available. We live with three large dogs and a military working dog foster puppy, all of whom need daily training, care, and handling. I honestly have no time for anything that requires much sitting--including writing book reviews. It took me only two days to finish the audiobook, and because I liked it so much, I am writing a brief review. I will retain the print version of What’s a Dog For? for reference. It is well-organized and contains useful information worth having available through an index. 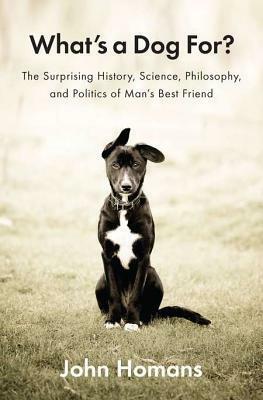 John Homans writes well, and he has managed to skillfully weave the personal story of his rescued lab mix, Stella, into the larger “history, philosophy, and politics” of the dog world, past and present. He clearly loves his dog and all dogs in general, but he was able to present a reasonably balanced view of our relationship with this wonderful enigmatic creature that so many of us live with intimately. He covered theories on the evolution of dogs, dogs throughout history, the origin or pedigree dogs (as well as their serious genetic deficiencies brought about through by man’s attempt to engineer them), and the issues of dogs in our present society. I was surprised and pleased with how much information was condensed into this relatively short volume. This book was worth the read but there were some chapters that simply did not interest me, mostly the ones about the specifics of which Earl and Duke first started breeding dogs for hunting etc. 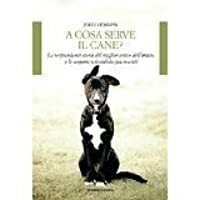 The book gives a brief overview and some opinions on a wide variety of dog topics: dog origins, genetics, relationship with and responsibilities of humans, canine cognition and emotional capacities, purebred breeding and shelter dogs, history and animal rights. Some people have written this book off beca This book was worth the read but there were some chapters that simply did not interest me, mostly the ones about the specifics of which Earl and Duke first started breeding dogs for hunting etc. The book gives a brief overview and some opinions on a wide variety of dog topics: dog origins, genetics, relationship with and responsibilities of humans, canine cognition and emotional capacities, purebred breeding and shelter dogs, history and animal rights. Some people have written this book off because they say it is all old news. I suppose I didn't learn anything mind blowing but I enjoyed revisiting topics from slightly different viewpoints and it did inspire me to read more from it source material. Even if you don't agree with everything in them, I believe if you want to be competent and knowledgeable in any real discussion on dog behaviour and welfare, you should be familiar with texts such as Singer's "Animal Liberation", works of Pavlov, Darwin and Goodall etc. I found though that this book brought up other authors and scientists that I wasn't familiar with and pointed to the leaders in different fields of dog research. I am excited to know more. The end was a bit of a let down though... the author gives you all this information but doesn't give a true opinion at the end of the day. He asks the question, "What's a dog for? ", and although researches different possible answers, gives no final opinion. Choose your own ending? Maybe there is no answer? Or the whole book is supposed to be his answer? Not sure. An interesting exploration of the history of the domestic dog, and the treatment and value that people place on dogs. This book covers the gamut of experiences, from Pavlov to Charles Darwin, from Sigmund Freud to Jane Goodall, and how they felt about dogs and how dogs influenced their lives and research. 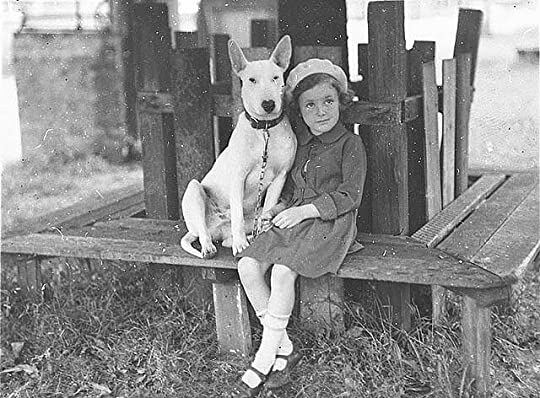 The history of the humane movement in the USA is also covered in detail, including the origin of the "no-kill" animal shelter, and the current ways that humane groups will transport animals from An interesting exploration of the history of the domestic dog, and the treatment and value that people place on dogs. This book covers the gamut of experiences, from Pavlov to Charles Darwin, from Sigmund Freud to Jane Goodall, and how they felt about dogs and how dogs influenced their lives and research. The history of the humane movement in the USA is also covered in detail, including the origin of the "no-kill" animal shelter, and the current ways that humane groups will transport animals from areas of overpopulation to areas where there are less dogs available for adoption. The current issue of the overpopulation and over availability of the not always desirable pit-bull terrier is also covered. The most interesting part to me was the founding and history of the field bred working dog, specifically the Labrador Retriever in the United Kingdom, by the Duke of Buccleuch on his privately owned 90,000 acre estate in Scotland. The kennel at this estate has been in continuous operation since the 1890's. Interesting stuff for anyone with an interest in the history of the domestic dog. I love books about dogs. This one, however, could not grab my attention. Well written but no pizzazz. I read 3 chapters, debated with myself whether to finish, and decided it wasn't worth my time given the number of books in my "to read" list. I haven't actually finished this book because I am finding the author's writing style too dry and uninteresting. How can one make a book about the relationships between humans and dogs boring? I don't know, exactly, except this man has done so. I had already read about a lot of the studies (including Brian Hare's work at Duke) but enjoyed the author's observations about human/dog relationships. I had a bit of trouble with the early chapters of this book. The author takes an incredibly broad view, mulling over everything from breed histories to ethology to pet euthanasia. I had a hard time following his argument in the beginning because he moved very quickly from one topic to another, interweaving his own observations about his dog at every turn. I was often unsure as to which side in the various controversies (over positive training, no-kill shelters, breeding, etc) he was endorsing. I I had a bit of trouble with the early chapters of this book. The author takes an incredibly broad view, mulling over everything from breed histories to ethology to pet euthanasia. I had a hard time following his argument in the beginning because he moved very quickly from one topic to another, interweaving his own observations about his dog at every turn. I was often unsure as to which side in the various controversies (over positive training, no-kill shelters, breeding, etc) he was endorsing. I suspect he was trying to lay out the arguments on both sides without bias. I laud the thought, but in practice it made his writing somewhat disjointed. There were also quite a few chapters that ended abruptly, as thought he had more to say but had reached some predetermined length and decided to stop right there. All of that being said, it was a very well-researched and interesting book. Homans writes a chapter on every major subject that comes up in our relationship with dogs. He discusses the origins of the species, the research on dog behavior and cognition, the history of the dog's association with humans, the unique social skills of dogs, the history of the Labrador and of breeding in general, changing cultural attitudes towards dogs, and the many controversies over animal shelters. And he presents the information he uncovered in a very personal way. He muses on everything and tries to relate it to his own dog. He contemplates the personalities of the different dog experts that he interviews. He includes a lot of flavor, interesting comments that people make and unusual stories that he comes across. This is a very leisurely read because it is, in some ways, very leisurely written. It's written more like a series of long blog posts than a highly structured information delivery system. There's lots of philosophical mulling and speculation. I don't mean to imply that the book isn't informative, of course. Homans' research was very thorough. He talks to a lot of researchers that show up even in the popular literature but he also describes the work of a bunch of scientists that haven't written popular books. There is a fair amount of detail included about the specific methodologies of their research and the major disagreements they have with each other, as well as a general outline of the course of canine behavioral research. This book was absolutely fantastic. The author writes well and covered a variety of aspects related to our relationship with our four legged friends. Topics such as their historical and cultural relationships with humans, scientific research and theory of mind, the Victorian age and the creation of the purebreed, and ultimately the various reasons dogs are so popular worldwide. definitely recommend to anyone interested in dogs. Interesting if somewhat dull history of man's best friend. This book is a must for those who love dogs.